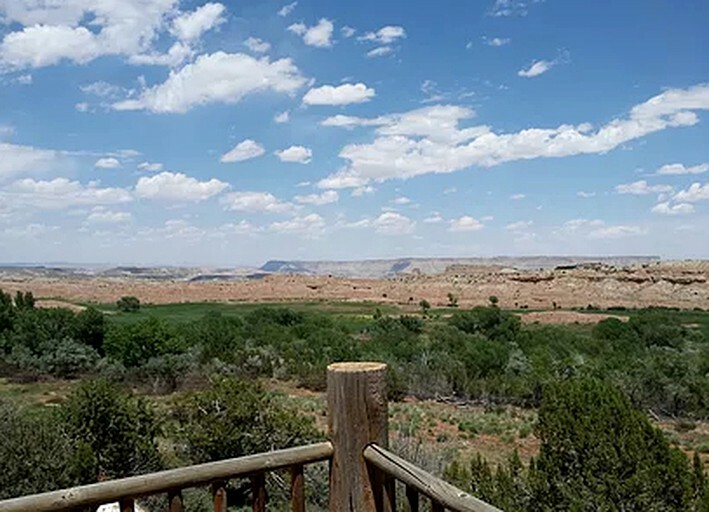 This weekend getaway suite is located at a bed and breakfast near Grand Staircase-Escalante National Monument, Utah, and can accommodate two guests for an escape to a spectacular natural landscape filled with incredible geological formations, including desert hills, canyons, mountains, monoliths, and Navajo sandstone cliffs. 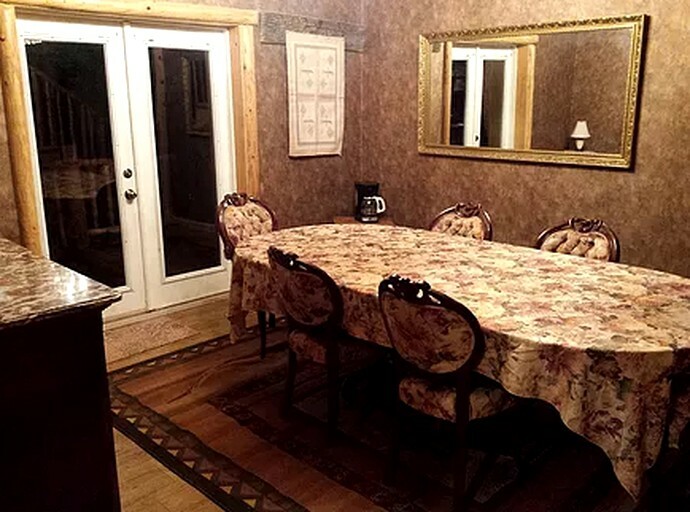 The suite consists of one bedroom and one full private bathroom. In the bedroom, guests will find a king-size bed and a leather armchair surrounded by cozily carpeted flooring and a large mural evoking the adventurous spirit of the Old West. 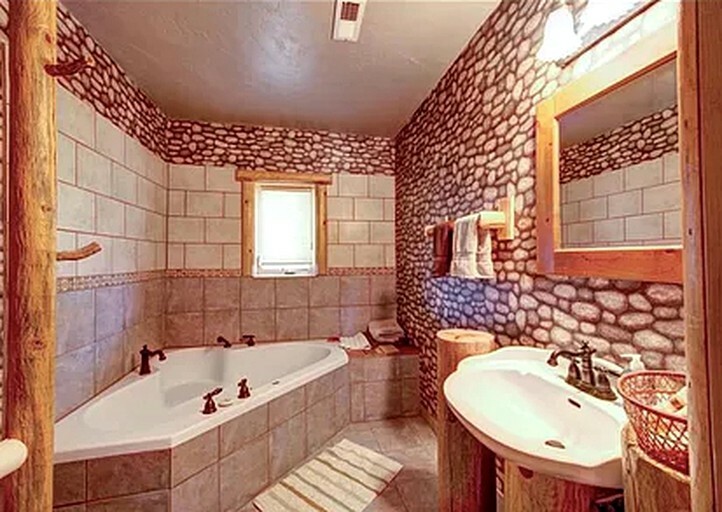 The bathroom features a luxurious jetted bathtub surrounded by walls adorned with elegant tiling and rugged stones—the perfect setting in which to relax after a day full of outdoor adventure. Linens and towels are provided.